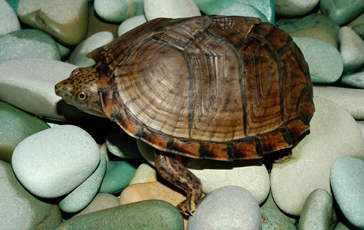 The musk turtles are mainly aquatic and are an ideal reptile for the beginner as they are a dwarf turtle only growing to approve 4 inches. Males have a longer and thicker tail than females and a larger head. Can be housed in groups.